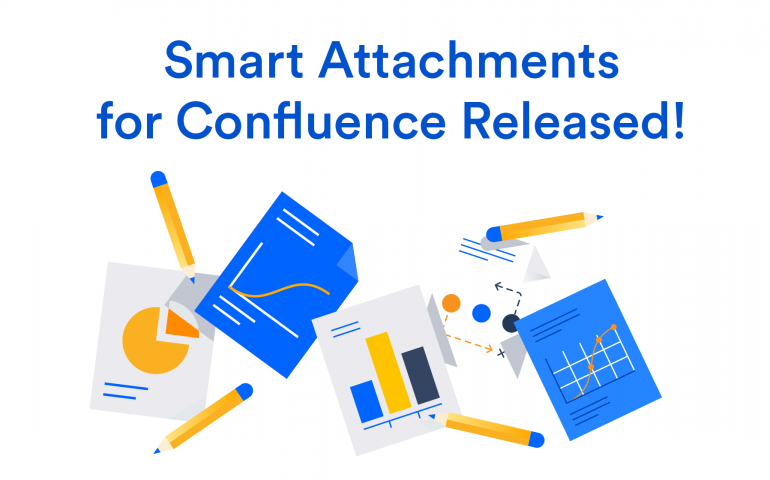 Smart Attachments for Confluence Released! Over the past years, we were continuously receiving your requests about implementation of our Jira app for attachment management in Atlassian Confluence. 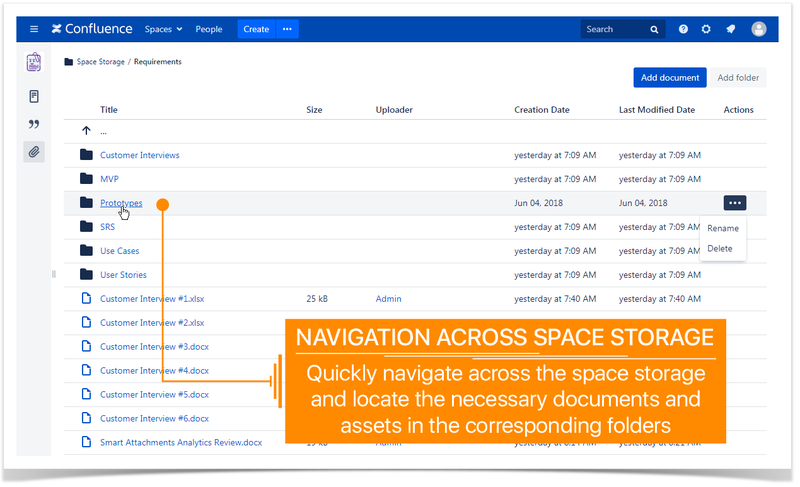 We got different ideas and did our best to figure out what kind of a solution would satisfy your needs and improve your experience with attachments in Confluence. We reviewed tons of requests at Atlassian Community trying to find problems that our customers encounter every day. After that we created two prototypes which we further discussed with existing Confluence users and chose the proven variant. 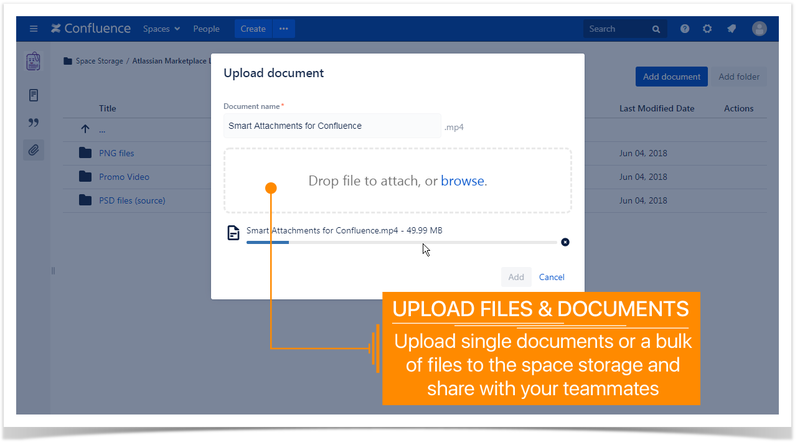 Ladies and gentlemen, StiltSoft team is happy to announce release (here goes the roll of drums) – Smart Attachments for Confluence! Our new app was designed to simplify your experience with storing attachments in project spaces and getting quick access to the required document at once. People who are actively attaching files to Confluence pages, after a short period of time usually encounter a problem of finding the right attachment. They need to browse through Confluence pages or search for a specific file in Confluence. The problem grows extremely faster when multiple team members are adding files. Just for such cases we have created the solution which allows you to have a centralized space storage shared across your whole team. 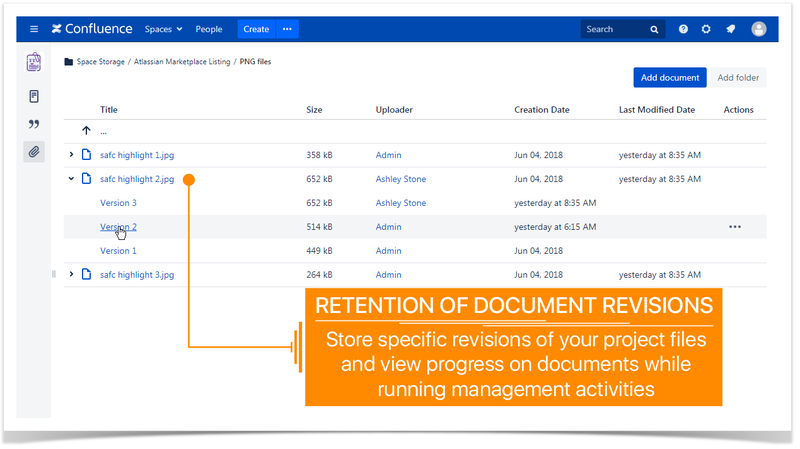 Instead of keeping your important project files across different pages, you can store them in dedicated folders and reference these files on the appropriate pages in Confluence. Now you can keep all your plans, reports, reviews, presentations, and other documents in one shareable place. Get used to standard folder structure of your operating system? Do the same in Confluence. 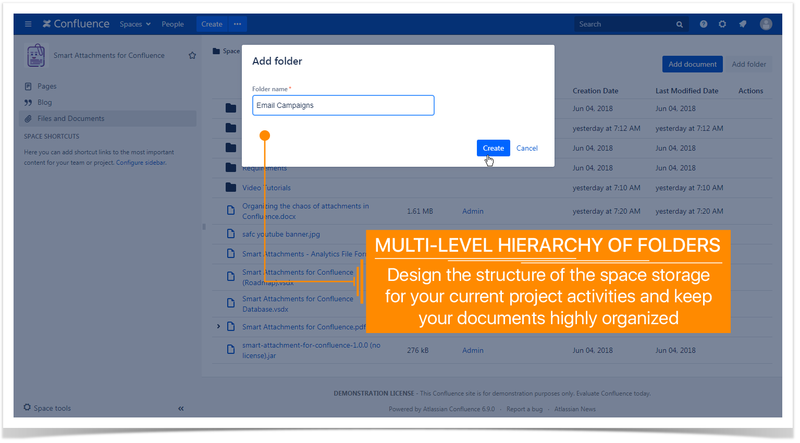 Create multiple levels for storing your project artifacts, design files, promotion materials, documentation guides, and other files needed for successful accomplishment of your project. Quickly navigate across your folders and add new folders wherever needed for keeping your files in hierarchy. Upload single documents or a bulk of files into the appropriate folder by drag-n-drop. Instantly locate the necessary files in folders and use them for running your project activities. Keep track of specific document revisions and get back to the appropriate version at once. 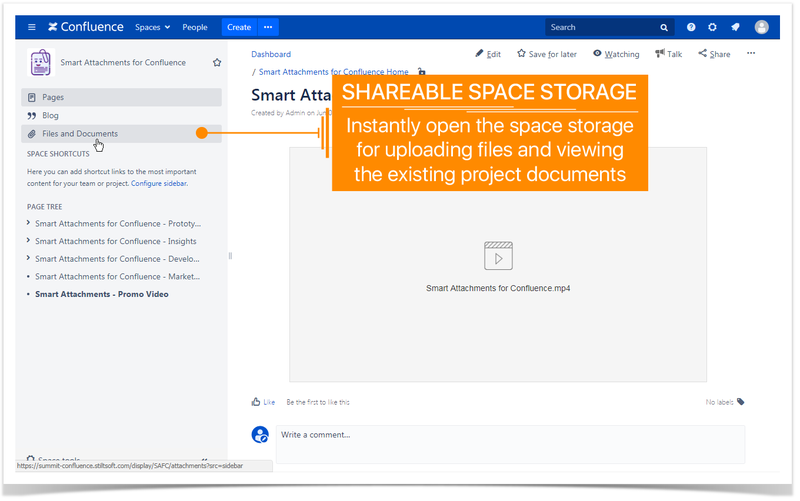 Use the already uploaded project documents and files and quickly integrate them into your Confluence pages. Add links to specific folders and artifacts and collaborate on them with your teammates. 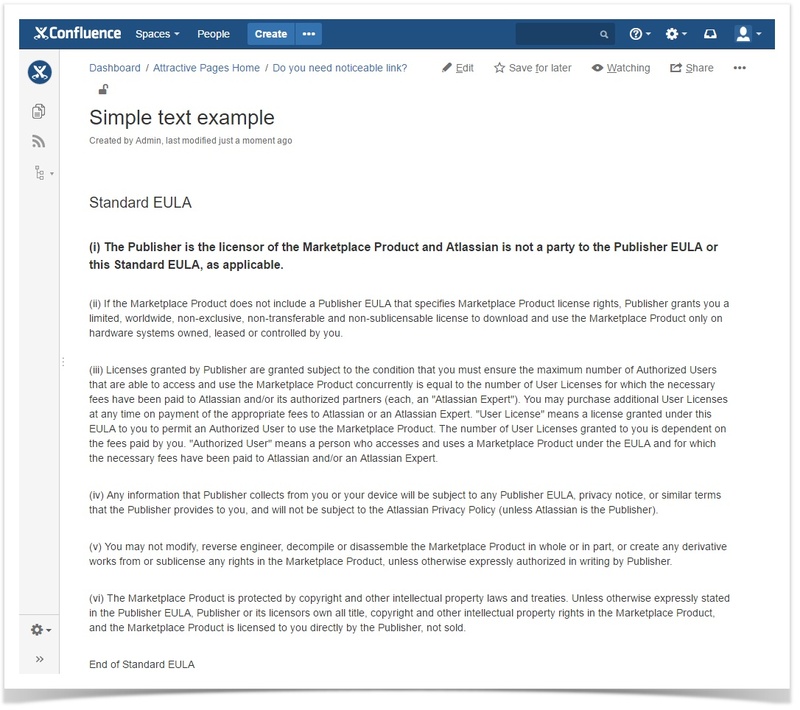 Start a free trial of the app right now and take your experience with attachments in Confluence to the next level. Copyright StiltSoft 2019. All rights reserved.